By Robert B. Chisholm Jr. The prophetic books of the Bible contain some of the most difficult passages in the entire Old Testament. Veteran professor Robert Chisholm guides readers through the important and often complex writings of Isaiah, Jeremiah, Lamentations, Ezekiel, Daniel, and the Minor Prophets, examining the content, structure, and theological message of each book. 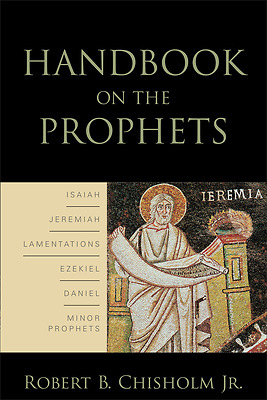 Rather than attempting to provide a detailed verse-by-verse commentary, this handbook focuses on the prevailing themes and central messages of the prophetic books. It considers how the message of the prophets would have been heard in their respective historical communities and considers the prophets' continuing importance for contemporary study. Now available in paperback. Author: Robert B. Chisholm Jr.